All month long we’ve been talking about bullying. At this end of this blog post, you’ll find Part 3 of “Water to Ice,” the story we’ve been featuring each week. 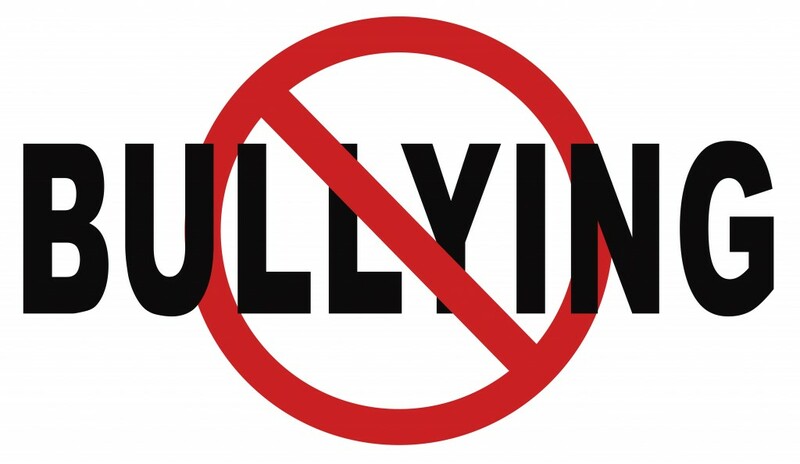 Bullying has been all over the news this month as October is the month where we “recognize it “and everyone makes a point of saying how terrible it is. I agree. Bullying is terrible. But I do want to throw a small voice of caution into the rally of anti-bullying sentiments. Let’s not be bullies using the term “bully.” What do I mean by this? My daughter has a very strong personality. She’s rarely wish-washy: she knows what she wants, she’s stubborn, she’s independent, and she has been known to argue with her friends just to play devil’s advocate and push boundaries. She has always been like this. A well-meaning observer that once told me my daughter displayed “potential bullying” tendencies, because it was the hot buzz term of the moment, and I should do something to curb those tendencies now before it got bad. At that point, my daughter was four. Pulling the B-word out on a four-year old? That made me think of another B-word. I believe conflict can be healthy among kids. For example: I don’t typically step in when sibling rivalry rears its ugly head. When clashes arise, a lot of parents and teachers believe in letting peers, friends, and siblings work things out on their own. 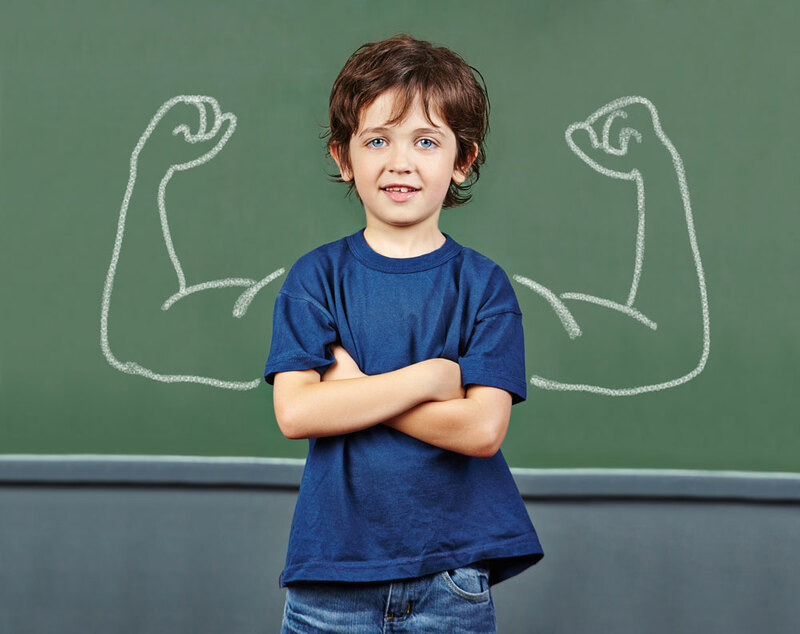 It can be a healthy way to teach problem-solving, respect, how to identify social cues, and can build confidence as kids learn to compromise, negotiate, and stand up for something they feel is right, believe in, or simply want. Kids often learn better how to handle these kinds of situations from other kids — even if it is learning what NOT to do. And the confidence they gain from problem-solving on their own means they are less likely to be stuck in an abusive or bullying situation later. How will these traits manifest as she grows up? Will my daughter end up being the leader of a mean girl-clique or will she be the head of the student government and successfully negotiate better cafeteria options? Do I smother the traits that could lead to her becoming a leader or strong advocate for social change for fear she could use her powers and join the dark side? Let’s not be too quick to jump on the “bully” label bandwagon in every situation. Labeling a child as a bully has a profoundly impactful and dangerous social stigma (and may become a self-fulfilling prophecy). Stay hands-off when you can as your kids learn to interact with each other, but keep tabs on social conflict, especially in younger kids, to make sure it doesn’t escalate and be prepared to discuss how everyone handled a challenging situation with your kids afterwards, pointing out what was done well. Make sure you are providing support and encouragement for children who don’t have strong personalities, to help build their confidence and ensure they know they have a valid point of view and a right to express themselves and their opinions. Be mindful of your own actions. Things like yelling at the TV sports teams, or swearing at the slow drivers on the roads model aggressive and abusive behavior. That’s not the sort of self-expression we want to encourage. Thanks for tuning in to our series about bullying. We hope we’ve given you some things to consider for both the rest of this month and for the remainder of the year when bullying isn’t officially on our radar. Jake is taking kung fu lessons to avoid being hassled by Mike Glover and his gang of bullies. Jake rarely sees his father, who moved across the country after divorcing his mother. He becomes dedicated to lessons with Master Kinsella, who tells him that in kung fu he will learn not to fight. 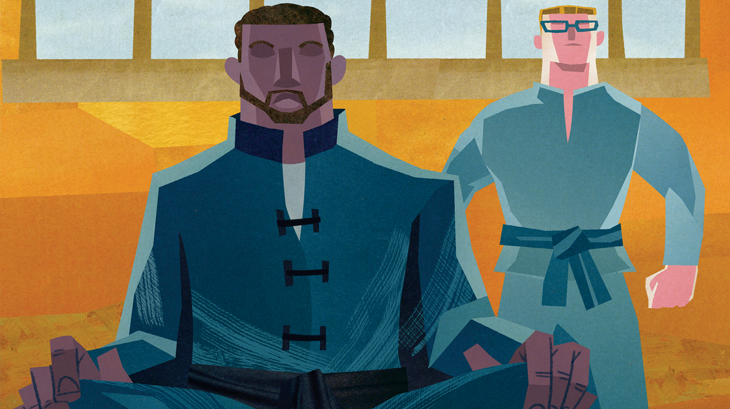 The kung fu master is fluid and relaxed until he strikes hard—like water to ice. Jake is impressed not only by Master Kinsella’s skill in quickly knocking out a violent drunk brandishing fighting clubs, but by his kindness and wisdom. “People just want a little attention, a little respect,” the master says of the drunk. “We’re all so scared these days. And that’s what makes us angry.” When Jake finally meets up with Mike Glover, he no longer is filled with rage. He avoids the fight, sidestepping Mike’s punch and leaving the bully looking foolish. The next day, to Jake’s amazement, Mike’s gang invites him to hang with them. “Having a rage case around is good for a laugh,” Mike says. THAT THURSDAY, I arrived at the dojo early, wanting to practice some crescent kicks before the warm-up. I felt like my uniform fit me a little better, now. I’d filled it out. I almost thought about knocking on Master Kinsella’s door to tell him how I’d avoided the fight after school and made a few friends in the process. I decided that would be a bit lame, though, so I just prepared myself for class instead, ready to channel every bit of energy into our exercises. “How you doing, Jake?” Steve said, taking a seat beside me. And I was. But when Master Kinsella came out to start the class, he wasn’t alone. He had another instructor with him—a muscular guy with a crew cut and glasses. Instead of kneeling to bow in, Master Kinsella sat down cross-legged and faced us. When he told us he had an announcement to make, somehow I knew what it would be before he broke the news. It was a tough class, but all that resolve I’d been feeling had melted and poured out of me—ice to water instead of water to ice. I went through the motions of sidekicks, backhand strikes, and hip throws like a robot running on autopilot. I just wasn’t as into it, knowing he’d be going, walking out of my life just like my dad had done. Master Kinsella must have noticed, because before sending us to the changing room he took me aside. I shrugged, looked away. I couldn’t bring myself to tell him it felt like betrayal. On the way back that night, I felt the old rage rising up inside me. I took a run at a newspaper stand and kicked it over, just for the fun of it. I ate dinner at McDonald’s, then went home and lay on my bed, listening to my MP3 player cranked to the max. My mom poked her head in around eight. “Fine,” I said, rolling away from her. I KEPT GOING to training for a while, but without Master Kinsella there, without his presence filling the dojo, kung fu felt like what I’d always feared it would be: squabbling, wimpy kids doing these feeble kicks and punches, staying sheltered in their own little world that had no connection to reality. Mr. Adams knew all the moves but had a tendency to bark orders at us and never joined in the exercises like Master Kinsella had done. I started skipping lessons, going only once a week. Eventually, I stopped going to the dojo entirely. I didn’t even practice my forms at home anymore. When my mom asked, I told her I needed more time to concentrate on my schoolwork. She accepted that as an excuse because my grades had been going down. I didn’t study any harder, though. More and more I was hanging out with Mike Glover and his friends. They looked after each other, and they were always there when I needed them. They weren’t bad guys, but in a group we tended to cause trouble. We stole food from the Asian grocer. One weekend we broke a bunch of windows at the school. It was all stupid stuff that made us feel tough, our way of demanding attention, making our presence felt—like that drunk who’d staggered into the dojo. Another thing we did was pester the local police. One afternoon near the end of term we were hanging around outside the corner store when we saw a cop across the street. “Watch this,” Mike said. 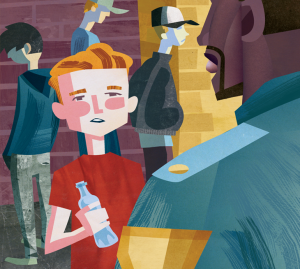 He was drinking a bottle of Coke he’d stolen—one of those plastic half-liter bottles. It was nearly empty. He whipped it in a long, high arc, and it landed right at the cop’s feet, skittering across the sidewalk. We all started snickering. I was the first to stop, when I saw the cop bend down to pick up the bottle. He waited for a break in traffic and then crossed the street—walking with a wide, bow-legged gait I recognized. He stopped in front of us, holding up the bottle. I lowered my head, mortified. Nobody answered him. He still had that way about him, even if he’d changed his black sash for a badge. Master Kinsella let the silence stretch out, gazing at us each in turn. I knew he’d recognized me, and eventually it became unbearable. He nodded, thoughtful, and took off his hat. “You boys from around here?” We all nodded and muttered assent. “If any of you want to talk, or something comes up—you can find me in the station at the end of the street most days.” He nodded and fitted his hat back on, like he was still getting used to it. Then he turned and walked away, moving so softly you couldn’t hear his shoes on the pavement. That all happened this afternoon. Tonight, for the first time in months, I put on my uniform and went through some kung fu forms in my room. I talked about it with my mom at dinner, and she thinks it would be all right for me to drop by the station sometime to see Master Kinsella—maybe even ask him to train once in a while. It’s just good to know that he hasn’t taken off, that’s he’s still nearby, patrolling the neighborhood with that bow-legged gait, making the world a little less scared, a little less angry. Cricket Media Mama would like to remind everyone – kids, parents, teachers: be kind, use common sense, and remember your manners, or else!